Getting a remote starter is often overlooked by vehicle owners. Picture that it’s the dead of winter and the snow is coming down hard while the wind is howling. Your vehicle that’s sitting outside is likely frozen over, and you’re idea of getting into it makes you shiver. Now, if only there was a way to heat your car up before you get in it. Fortunately, a remote starter for your vehicle will do just that! They allow you to remotely start your car so that your heater can start warming it before you get in. How Does a Remote Starter Work? A remote starter consists of 2 key parts: a control module/radio receiver and a remote transmitter. The control module is installed into your vehicle, which allows you to remotely start your vehicle with the push of a button on the remote transmitter. A remote starter is most popular in colder climates, where they are used to warm up a car’s engine and activate its heater and defroster. This is especially convenient during winter months when its snowing and temperatures are subfreezing. On the other hand, a remote starter is also a great asset for turning the AC on during a scorching summer day. 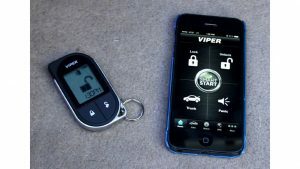 Many new vehicles these days have the option of including a factory remote starter, but they are very limited in terms of their range and capabilities. Typically, a factory remote starter has around 30-feet of range, which requires you to be fairly close to your vehicle to start it. After-market remote starters not only offer superior range, but a large array of other features as well. 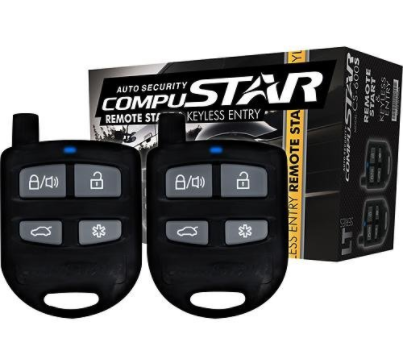 For example, Compustar offers remote starters that are capable of 800-ft to 3-miles of range, and have the option of upgrading to a 2-way remote. 2-Way remotes allow you to send commands to your vehicle and receive confirmation that they were activated. A few Compustar remotes also feature water-resistant technology, interactive LCD screens and the ability to charge them via USB. Another advantage of after-market remote starters, particularly Compustar, is that you also have the option of adding/upgrading it to include an advanced security system. Compustar security systems equip your vehicle with additional sensors to detect impact, intrusions and theft, and when paired with a 2-Way LCD remote, notify you when those sensors are triggered. 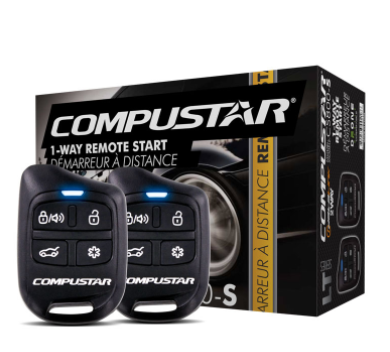 It’s without question that a Compustar remote starter is among the most superior options for remote starting your vehicle! What You For A Remote Starter? The most important component, and is often overlooked, is the professional installer. 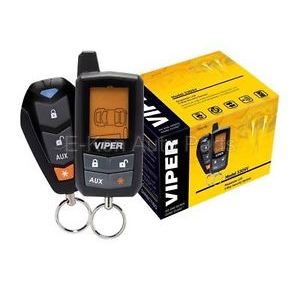 Installers can not only assist you in finding the perfect remote start control module and remote transmitter combo for your needs, but they can guarantee a safe and professional install. It is extremely important to get a remote starter professionally installed from an authorized dealer because making a mistake during installation could potentially cost you more money and headache. Want a Remote Starter & Installation from an Authorized Dealer? AutoWorks is an authorized Compustar dealer and offers remote starters as well as other auto electronic products to towns in the Monmouth County area. We serve towns including Middletown, Homdel, Oceanport, Keyport, Keansburg, Highlands, Matawan, Long Branch, Hazlet, Atlantic Highlands, Aberdeen, Shrewsbury Twp, West Long Branch, Fair Haven, and many more. To learn more about our auto electronics and installation services, contact us today at 732-671-0225 or visit the website. A remote starter (AKA: car starter, auto starter, or remote start system) is an electronic device that lets you to start your vehicle from outside of it. Using this device, you can warm up your car on cold winter mornings or even cool down your seats during the summer. Compustar remote starters are one of the best brands out there. AutoWorks is an authorized Compustar remote starters dealer and certified installation facility that has been in business for over 20 years! Service towns include Aberdeen, Middletown, Keyport, Hazlet, Union Beach, Marlboro, Colts Neck, Tinton Falls, and more. Contact us today to get one for yourself or someone you love and give the gift that is sure to keep you warm this winter and for many years to come! When is comes to shopping for remote starters, there are mistakes that can be made. Many consumers try to cut corners for convenience to save money, resulting in some issues not long after. 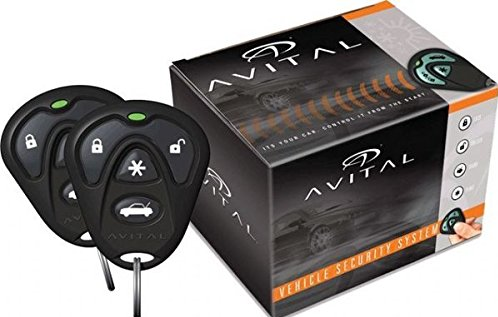 Here are some misconceptions that people have when considering an Avital starter or other type remote starter. All remote start systems are the same. Remote starters are no different. An Avital starter will be a much better investment than a no-name product that’s mass-produced out of country. Many people fail to understand that a truly dependable, reliable remote starter may cost a bit more up front. They often get lured in with a cheap price. Unfortunately, what they get for that is often a model with a range of only a couple hundred feet, 1 remote and no warranty. All companies that install remote starters are the same. Here’s why this is false: The best alarm and/or remote starter in the world won’t make up for a sloppy installation by an inexperienced installer. Most people have found they’ve gotten the best results hiring an experienced company that uses certified installers, along with dependable products (such as an Avital starter) that have been around for more than a year or two. Companies with good reputations in the marketplace are happy to demonstrate their product to you, and show you their warranty as well as their work. You can install one yourself. If you have extensive knowledge of automotive electronics and computer software showing detailed 12-volt wiring schematics of your vehicle, then perhaps you can get away with doing your own installation. But be aware that attaching any aftermarket electronics product to today’s vehicles without the proper know how can be extremely risky. A worst case scenario could be damaging the electronic control module or detonating the air bag, resulting in expensive repairs. The only reason to have a remote car starter installed is to warm up your vehicle. Although it’s true that a nice warm car is the feature you’ll probably love the most, you’ll find a remote starter has other perks. Several models also come with a keyless entry option as well, so you can enjoy the safety and convenience of locking and unlocking your vehicle, all with just the touch of a button. Remote starters are also great in the summertime, allowing you to quickly cool off a vehicle that’s been sitting in the hot sun all day! The remote starters you can purchase at your local department store or warehouse club are just as good as the ones the specialty electronics shops sell and install. this is possible, but not likely. Check around, you’ll find very few specialty shops use the brands you see on the shelves in the warehouse clubs and department stores This is because most are budget priced models simply don’t measure to brands like Avital starter systems. Want an Avital Starter Installed in Your Vehicle? AutoWorks is an authorized Avital starter dealer and certified installation facility that has been in business for over 20 years! Contact us today to get one for yourself or someone you love and give the gift that is sure to keep you warm this winter and for many years to come! During the hot months of the year, the heat will never be more apparent than when you enter your car after it has been parked in the sun. On a hot day, the temperature of a parked vehicle can rise 20 degrees in as little as 10 minutes. Along with no breeze to ease the heat a bit, this makes your care VERY HOT. Here are the reasons why you need a Compustar remote starter for the summer. Cool down your car. Starting your engine 5-10 minutes before you enter your car will give your AC system a chance to cool down. If you turn on the AC immediately, you’ll get bombarded with hot air. Decrease air pressure. A huge reason why the temperature inside of a car on a hot day feels so much hotter is because of the increased air pressure. Turning on your engine will allow the air to begin circulating before you’re sitting in it. Black leather seats & other similar materials. In direct sunlight, black leather seats will quickly turn from a luxury into a burn risk. Unless you’re wearing pants and long sleeves on a 90 degree day, the best protection against hot seats is a Compustar remote starter. Regardless of what it does to help keep you cool in the summer, a Compustar remote starter does not make it safe to leave children or pets inside of a parked vehicle on a hot day. Avoid taking children to places that are not kid-friendly. 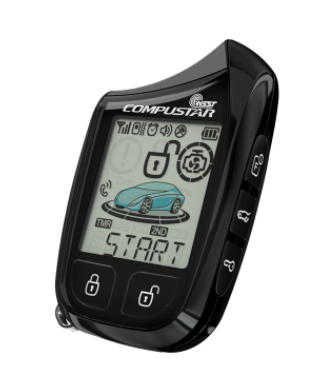 Want a Compustar Remote Starter Installed in Your Vehicle? AutoWorks is an authorized Compustar remote starter dealer and certified installation facility that has been in business for over 20 years! Service towns include Rumson, Middletown, Little Silver, Hazlet, Union Beach, Marlboro, Colts Neck, Shrewsbury, and more. Contact us today to get one for yourself or someone you love and give the gift that is sure to keep you warm this winter and for many years to come!